Ontario’s Labour and Employment Laws are Changing. How Will it Impact Jobs and the Economy? The Ontario government has responded to the Special Advisor`s Changing Workplaces Review, with its Fair Workplaces, Better Jobs plan. The proposed plan commits to sweeping labour reforms that does not ensure protection against unintended consequences to our businesses and communities. Ontario businesses are the lifeblood of our communities, creating local jobs and increasing economic growth around the province. The Government’s proposed reforms will create winners and losers amongst businesses and communities with job losses, increased costs to consumer goods, and economic hardship. This does not represent fairness. To demonstrate true fairness and compassion for workers, the Government must ensure Ontario has a strong economy to help create jobs and increase economic growth. Only three years ago, the Premier’s own Minimum Wage Advisory Panel conducted extensive research and concluded: ‘In the Canadian context, researchers have generally found an adverse employment effect of raising minimum wages especially for young workers’…typically those studies find that teen employment would drop by 3 to 6 per cent if the minimum wage is raised by 10 per cent. 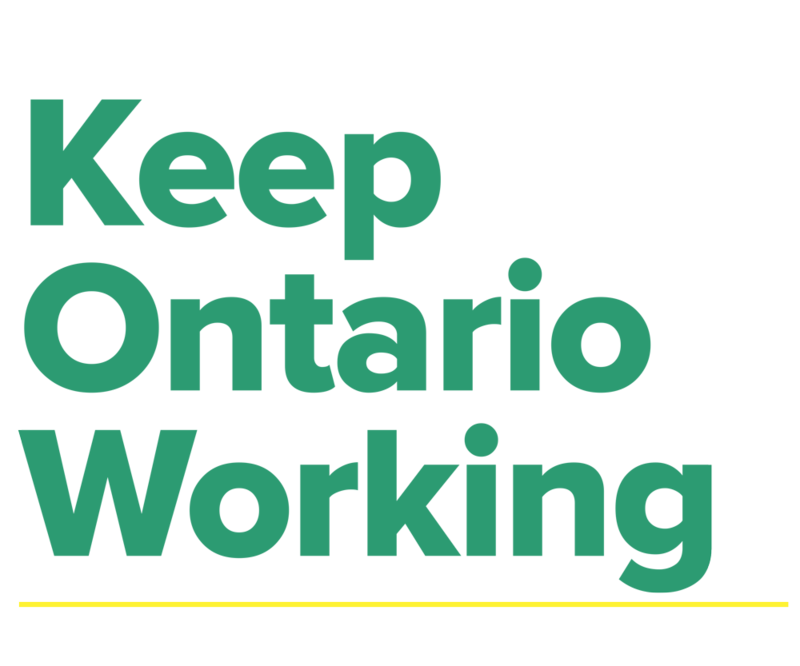 The Keep Ontario Working Coalition is calling on the Ontario government to conduct an economic analysis to inhibit negative impacts on the growth of Ontario’s economy, our people, and our communities. We need you to get involved. Keep Ontario Working and ensure that government is improving legislation to support workers’ rights, create jobs and grow the economy.